For Debbie & Sal it started with a handshake. La Carezza's objective has always been about providing the best possible services. For 26 years La Carezza has been the beauty destination of the Hamptons, providing a full service salon and spa featuring a full staff of highly qualified estheticians, stylists/colorists, nail technicians, massage therapists & make-up artists. The La Carezza Da Spa always strives to create a warm welcoming ambiance with treatments that pamper clients from head to toe. La Carezza beautifies and soothes mind, body & soul. 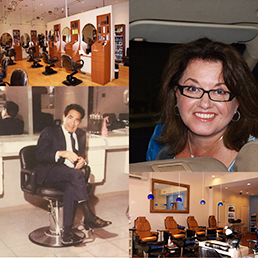 "Our friendly atmosphere, the professionalism of our staff, and the quality & range of treatments are what makes us unique," explains founder/owner, Debbie Cirruzzo.